Our recent trip included places to visit in Oregon, USA that provided fun, educational, and unique experiences for our kids, as well as Mom and Dad. Our route took us west from Portland along Highway 6 to spend our time along the Oregon Coast. 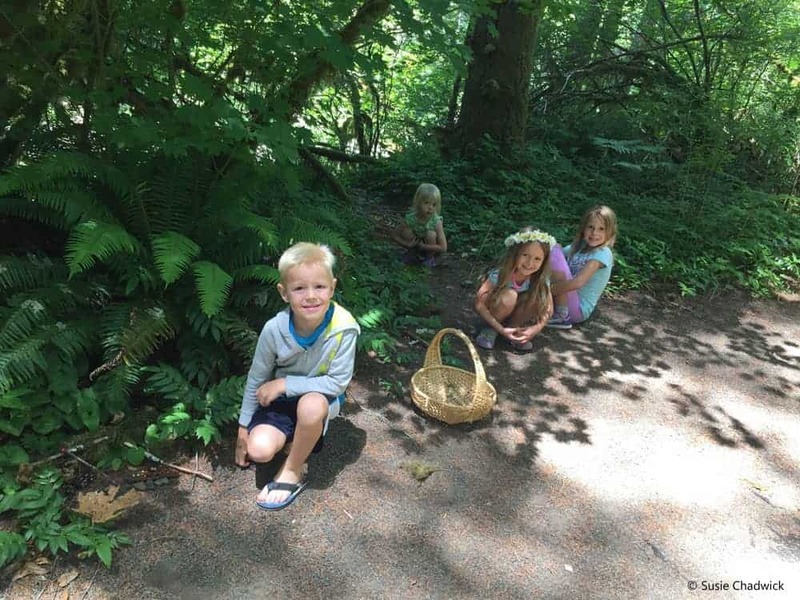 I recommend the following 7 kid-friendly things to do near Portland for the whole family to enjoy! 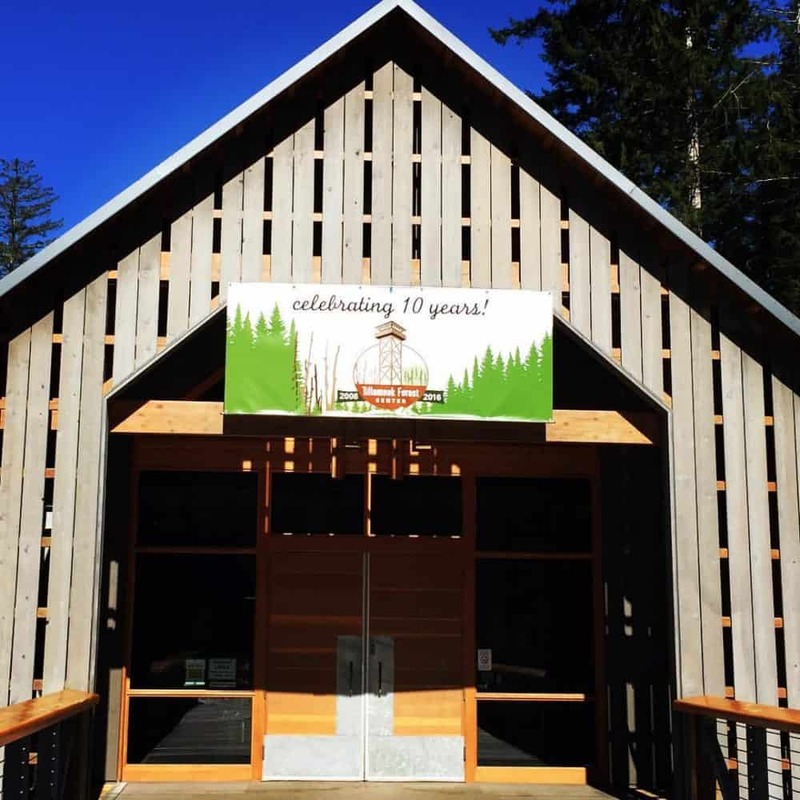 The Tillamook Forest Center is right on Highway 6 from Portland to the coast, and stopping there was one of the best decisions we made. 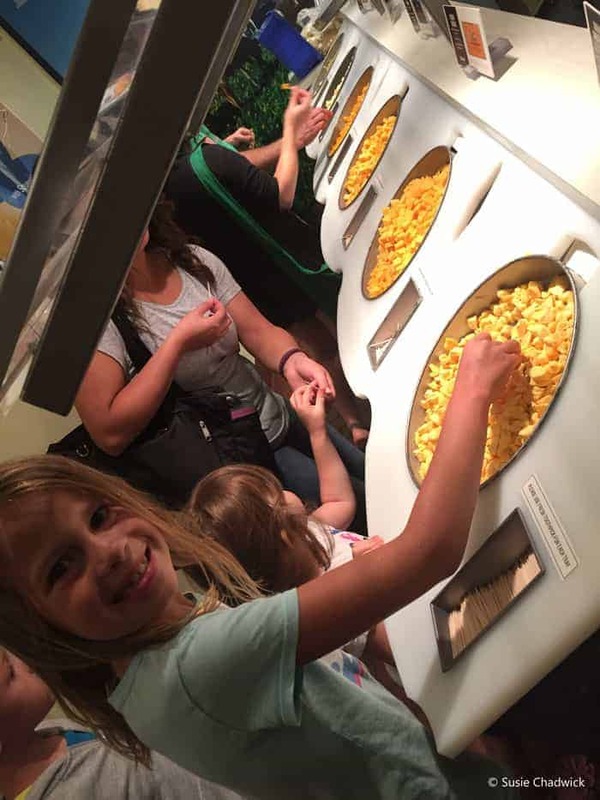 There’s a fire lookout, an indoor visitor’s center with a gift shop, clean restrooms, and educational displays, but best of all, they have several kids’ activities daily. When we stopped, a group was getting ready to take a fairy garden tour. They met on the beautiful bridge behind the forest center. The volunteer tour kids showed the children what materials they could find for building fairy houses, and how to collect them without damaging living plants. After that they led the kids on a short hike, where they viewed fairy houses built by previous groups. Everyone in the group built their own fairy house along the trail. It was a magical experience, and a great way to stretch everyone’s legs for an hour. 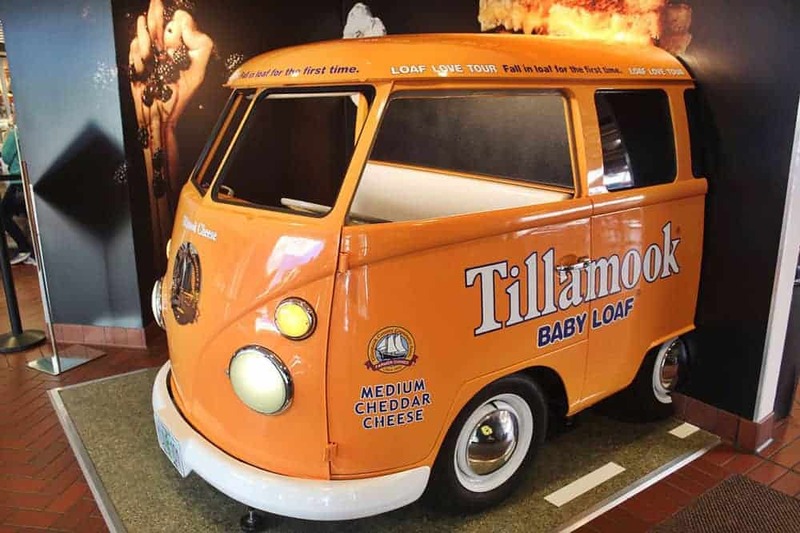 You watch cheese being made at the Tillamook Cheese Factory and sample different cheeses. You can also try their amazing and unique ice cream flavors. Lunch items are available, including grilled cheese sandwiches, but you may not need lunch after your ice cream! The kids also loved posing in the Loaf Tour bus, and with the cow statues. Newport, Oregon, a small fishing village, is one of the more famous stops along the Oregon Coast. We spent a morning wandering the small-town streets, exploring the docks and shops. The kids watched some fishermen catching crabs in baskets, which was probably their favorite activity of the day. We could see restaurant employees walking down to the dock to collect fresh crabs to sell. If picking out a piece of salt water taffy gets your kids to behave as well as ours, there are several candy shops along the main street (Bay Blvd). 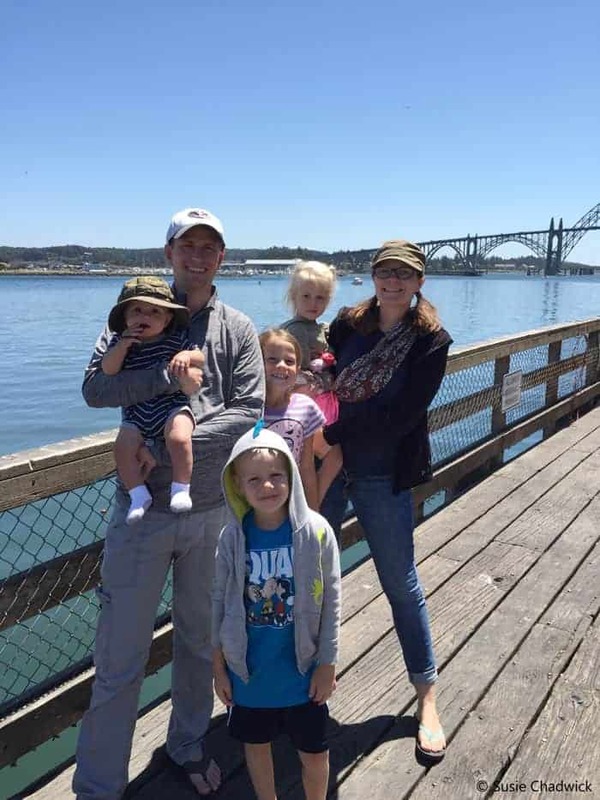 My favorite part was the view of the Highway 101 bridge across Yaquina Bay. Just north of Newport is the Yaquima Head Lighthouse. 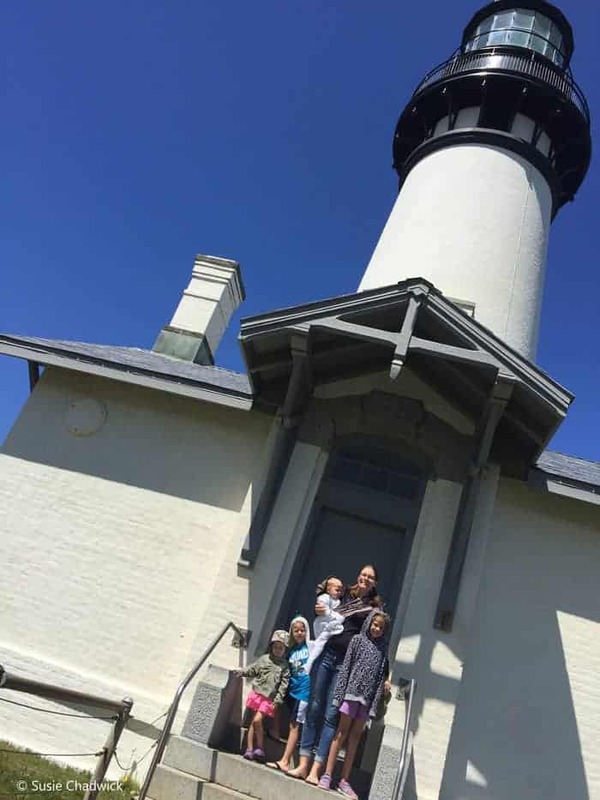 Tours of the lighthouse itself are limited, and because of the steep steps, children must be 42”, so we didn’t go inside. But the view from Yaquima Head is spectacular, and we saw sea lions below. There is also a great Yaquima Head visitor’s center which was very fun and child friendly. There were old fashioned games to learn, coloring activities, and dress ups. There was also a display on sea life, with a tunnel to crawl through, and a lighthouse replica that showed how the light worked, which really interested my older kids. Otter Rock Beach is where we spent most of our time on the Oregon Coast. Pacific Northwest beaches are not known for being sunny and warm, and this was no exception. However, Otter Rock is one of my favorite beaches I’ve ever been to (and I’ve lived in California most of my life). At this beach you can search the tide pools, hunt for sea glass, build with drift wood, and climb on rocks. Amid the rock piles, we found dozens of pieces of sea glass. The kids loved digging through the rocks and seeing who could find the biggest or most colorful pieces. Otter Rock Beach also offers direct access to the Devil’s Punch Bowl. 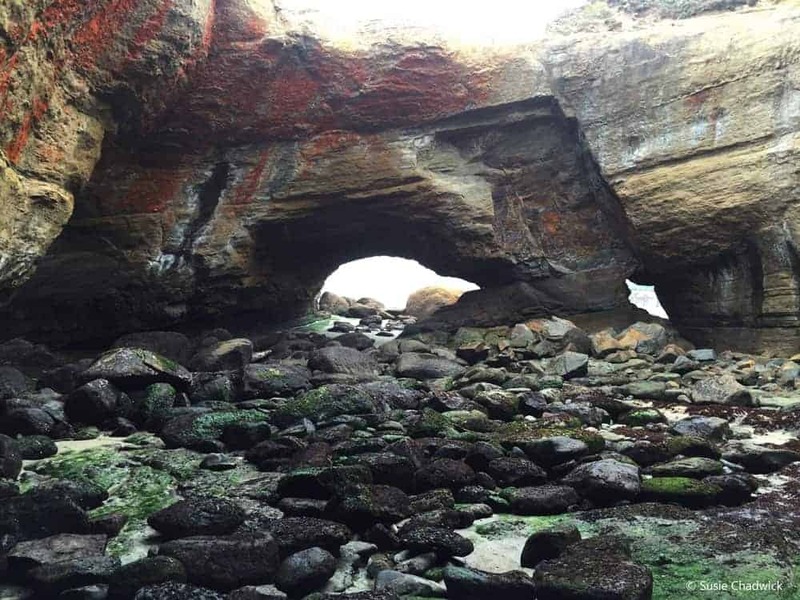 At low tide you can access the inside of the punch bowl, and the surrounding tide pools. The tide pools were amazing, and we saw some beautiful sea creatures there. The kids also loved climbing on the rocks in the punch bowl, and along the access route. At high tide, you can see the Devil’s Punchbowl from above, watching the water swirling from the street level. There’s a short walk along the cliff side to view the beaches below. For a less rocky beach experience, Lincoln City Beach, several miles further north, provides a wide area of sand, even at high tide. 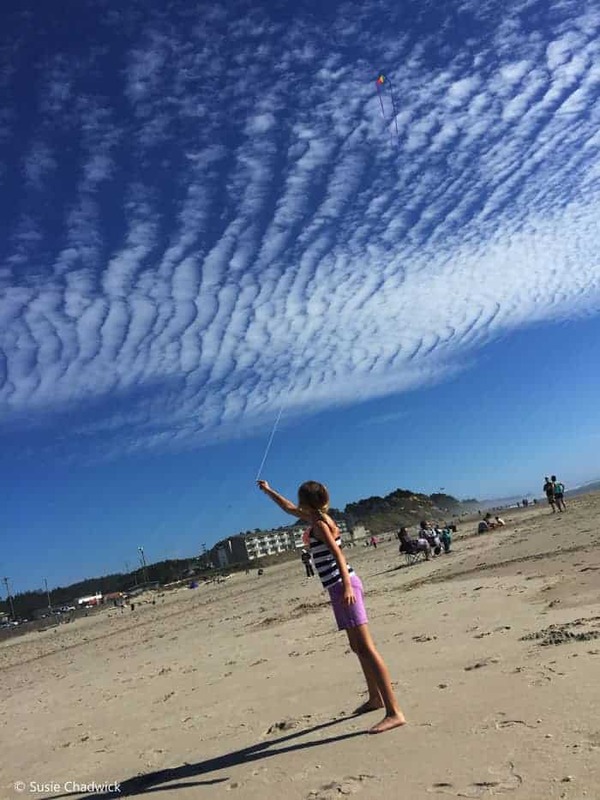 This expansive beach is perfect for kite flying! We use Airbnb (here’s a $40 coupon) or Hotels.com to rent accommodations that have a kitchen. Cooking our meals saves us quite a bit of money compared to eating out, and it’s much healthier! If we can’t find somewhere to stay with a kitchen, we find places that have a microwave and fridge at the minimum. You would be surprised the meals you can prepare in a microwave. Check out these 20 Best Things to See in Portland, OR with kids. There are some fun ideas! 17 Cool Things to Do in Oregon with or without kids. Looking to continue your road trip up the coast into Canada? Enjoy these Best Things To Do In Vancouver With Kids! We’re going to Newport for the eclipse this weekend and planning to see Devil’s Punch Bowl, we’re so excited! Any tips for this Mommy with a 5 and 2 year old? Can you share the best way/parking to go down the beach? My daughter loves collecting rocks and sea glass, she would love this! How fun! There is parking right at the top of the Devil’s Punch Bowl along first street. The access to Otter arock Beach is along C ave, just past 3rd street. There is another parking lot on that corner there. Hope that helps! Have not been to Oregon yet and can’t wait. The beautiful coastline, cheese factory visit, and a glass of wine from the region would be my ideal trip. Looks like your kids had fun and a great time. Reading this just moved Oregon even higher on my list of US destinations to explore. The coast was a little chilly, but so fun! I hope you make the trip. A cheese factory?! Omg I would’ve LOVED that as a kid (and to be honest, I’m 31 and would still love to go lol!). And it looks like you got some great little sea treasures- I collect sea glass from everywhere I visit, so I love to see when other’s gather it, too! That’s awesome! 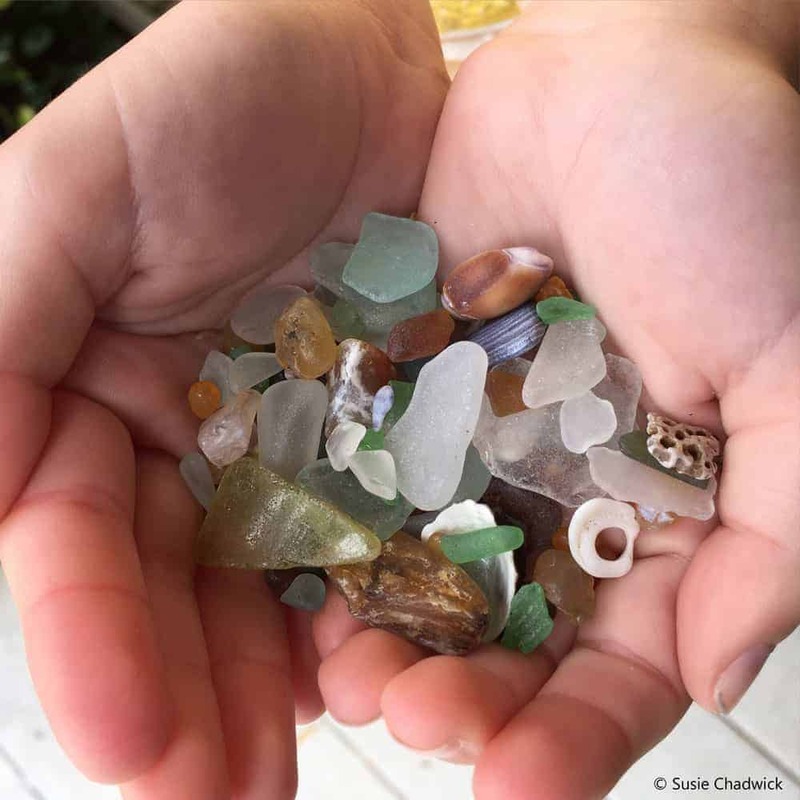 Where have you found sea glass? I’m always looking out for new beaches to visit when we travel. The cheese wasn’t nearly as good as the ice cream, but they had some interesting types to sample. We brought home an Aggie of sea glass to keep in a vase at home! A wonderful and free souvenir. Cheese and sea glass, in one day. Can I come on your family vacations too! This trip sounds super fun for all involved, great posts. Sure, if you’re willing to take a babysitting turn! Haha! The fairy garden tour is such a good idea! I love how easy it is to do but can definitely keep the little ones entertained. Plus, they can stretch their legs mid road trip! Sounds like a lovely trip! My kids are grown now but I think they would still like your itinerary. The parents all enjoyed it! I went sea glass hunting without my kids. Exploring the tide pools and digging through the rocks on Otter Rock beach was my favorite part of the trip. That looks like such a cute holiday! I absolutely love rock shores… I think they’re better than the beach! I absolutely love this guide! I’ve never heard of Otter Rock Beach, but it sounds amazing! I will have to visit when I go to Oregon. The Devil’s Punch Bowl sounds awesome…I love the idea of seeing sea creatures close up. Totally random question, but did you get to see any otters at the beach (I have this obsession with otters and have always wanted to see one in their natural habitat)? We didn’t see any otters in Oregon. I’ve seen sea otters in the wild in Alaska and along the central California coast, and river otters in the wild in Utah. They are very interesting creatures to watch. What a great write up! We are a traveling family too! Located in Australia. Would love to visit the USA one day as we have never been there, but hope to visit in the upcoming years. Would definitely use your itinerary for our visit to Oregon. How fun! We would love to visit Australia. The two countries are just too far apart. Those long flights are difficult with little ones. Thanks for sharing! An appreciation for our world is one of our main reasons for traveling with our kids. You’re right, we found plenty of family friendly activities throughout Oregon. 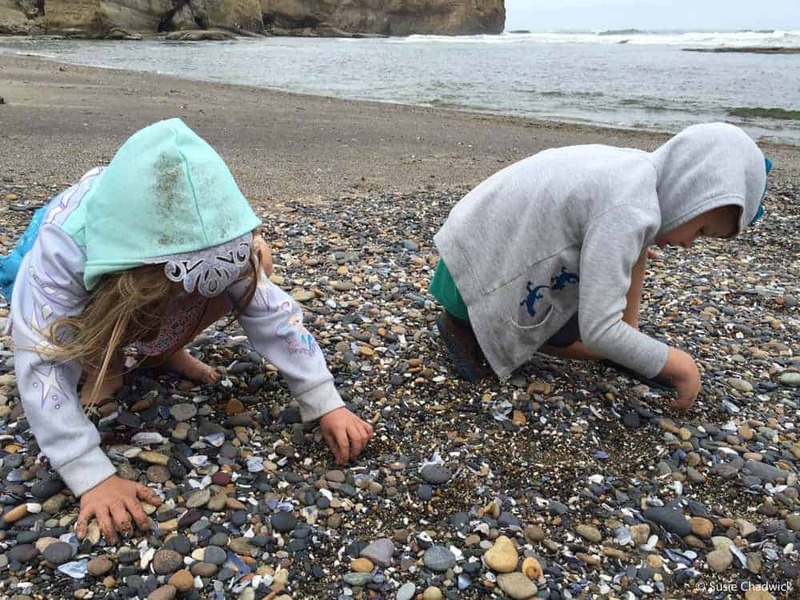 Rocky beaches are the perfect ones for finding glass! If I ever make it to Italy, I’ll have to visit that one. I know, cheese is the best! Worth a stop for sure. 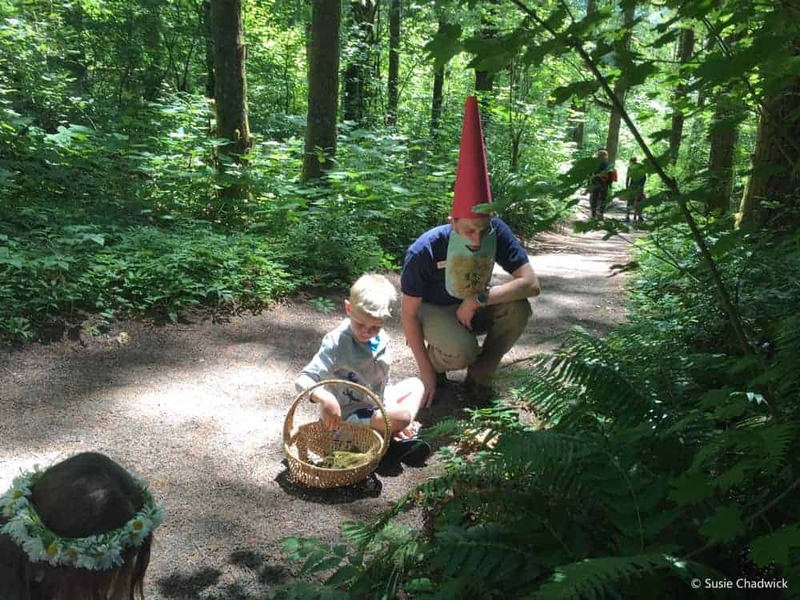 I cannot even tell you how much I love the fact that your husband dressed up as a giant garden gnome for the fairy garden tour! That is incredible! 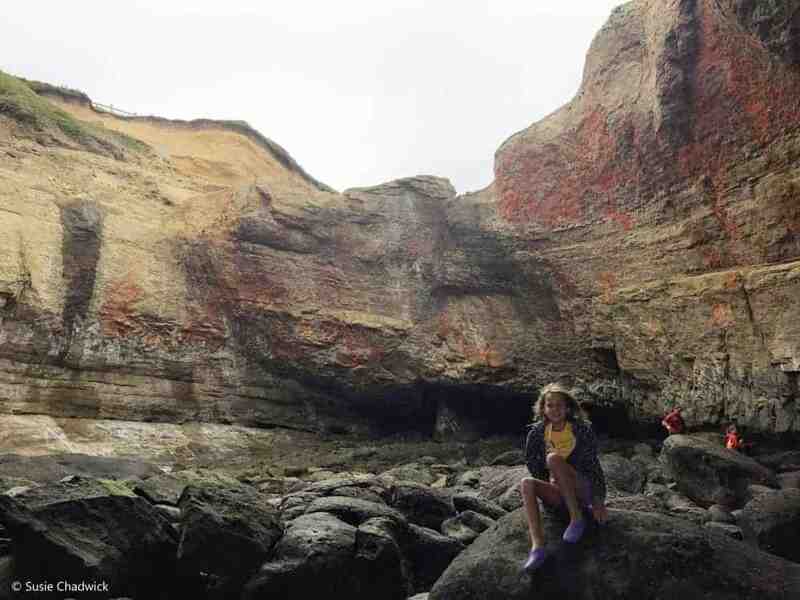 Oregon looks like it is filled with amazing adventures for kids and adults alike. 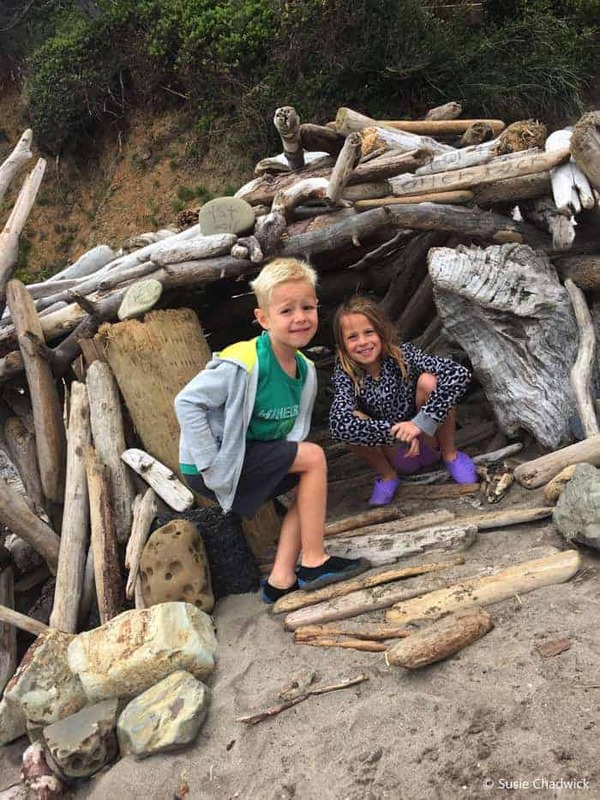 Your kids built an amazing driftwood fort at Otter Rock Beach! I’m kind of jealous! Haha! So, that wasn’t my husband, but one of the Forest Center employees (volunteers?) who was leading the hike. But I love it! Mr. Lichenbeard. The driftwood fort pictured was one of many along the beach, added to by all the kids over the summer. What great activities you found! We used to own some land and I bought tiny fairy doors at a craft store. It was so much fun for the kids to build up a little living area around that door. We always travel with the kids and they would love all these activities! Icecream – cheese – sea glass – what an adventure! What a fun idea with the fairy doors! The Forest Center showed the kids how to use natural materials without harming the environment, which was neat.